If you’ve ever had a root canal, you know how awful the experience can be. One of the most dreaded procedures in the field, it’s hard not to shudder when you hear you need a root canal. However, this doesn’t need to be the case when you visit the right dentist for your needs. 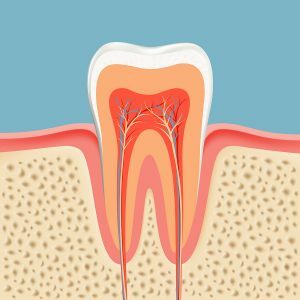 While a dentist will be the only one to know for sure, there are a few ways you can tell if you may need a root canal. While common, swollen gums are never a good sign. They can be caused by a handful of things like gingivitis, leftover food, or cuts on the gums. On the more serious side, it could be a sign of a more advanced problem. If the swelling is sudden, you’ll likely need a root canal. Gum pimples, not to be confused with canker sores, are a buildup of bacteria beneath the skin trying to exit. This could be caused by an infection of the tooth’s pulp, which will often lead to a root canal. While a sign of a handful of things you may have going on in your mouth, discoloration is most attributed with things that will, if left untreated, eventually require a root canal. Tooth pain is always an indication of a deeper issue with the tooth itself. 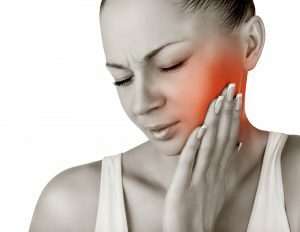 The common causes of tooth pain have a good potential to develop into something that could eventually require a root canal. Sensitivity, like tooth pain, is often the symptom of deeper issues commonly solved with root canals. If you’re finding yourself requiring a root canal, you should go to Harmony Dental in Fort Washington. They’ll make sure your experience is as pleasant and painless as possible. There really is no better place to get dental work done. Dr. Paola and Harmony Dental Health provide Cosmetic and Family Dentistry and exceptional Dental Implant Restoration. From teeth whitening to dental emergencies to dentures, we cover it all. It is our mission to provide comprehensive care at an affordable cost to each and every patient. We want to show you that it’s not just talk and hype at Harmony Dental Health, but real results. We hope to meet your dental needs through care that best suits you. We strive to help each patient achieve greater oral and overall health. In truth, we save smiles! We have situated our practice at 1244 Fort Washington Avenue Suite A of the Upper Dublin Professional Center in Fort Washington. We are directly next to the Upper Dublin High School. While most people associate dentures with old age, some people may need to switch to dentures sooner rather than later. If your teeth are deteriorating and it’s starting to affect your daily routine, it might be time to visit your local dentist and talk to them about getting dentures. Here are four signs that it might be time to make the switch. If your teeth are moving around or the gaps between your teeth are getting wider, you might benefit from switching to dentures. This may be a sign that you have advanced gum disease, and this can lead to serious problems when eating, chewing or speaking. If your teeth are always causing you pain, you can relieve some of this discomfort by switching to dentures. Talk to your dentist to find out what’s causing your toothaches. Some minor pain here and there may not be a sign of anything too serious, but regular toothaches might mean it’s time to make the switch. If your gums are overly tender, you might be suffering from gum disease. 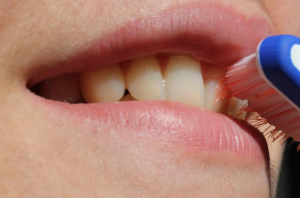 This is one of the biggest reasons why adults will lose some of their teeth, so your red, swollen gums might be a sign that you’ll need dentures in the future, if not right away. If your teeth are giving you trouble every time you try to eat or speak, it’s probably time to switch to dentures, so you can get back to leading a normal lifestyle. You shouldn’t have to live in pain and dentures might be the solution you’ve been looking for. 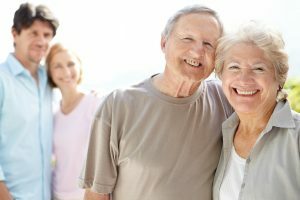 If you’re looking for a dentist in Fort Washington, PA, contact the professionals at Harmony Dental Health to learn more about switching to dentures. Most people have a degree of anxiety about visiting the dentist, which is perfectly understandable. After all, it’s hardly pleasant having a stranger put strange instruments in your mouth, regardless of how friendly they are or how qualified they are to do so. A sensation that may be less understandable to the masses is dental phobia. This typically occurs as a result of a traumatic experience involving a dentist in the past. Either that or someone very close to them has a bad experience. Around 15% of Americans avoid visiting the dentist due to anxiety or phobia. These individuals will put up with tooth pain or poor dental health, rather than see the dentist. As a result, they are far more likely to develop serious oral health conditions or have missing teeth in the future. How can people ease this fear? The best way to get over this fear is through exposure therapy. Having said that, there are some common practices for easing fear in general that can certainly work in the dentist. First off, it’s worth sharing your fears with the dentist. They’ll understand. It’s been estimated that up to 75% have some sort of anxiety about visiting the dentist, while around 10% experience dental phobia. You can focus on breathing regularly and slowly and listen to some calming music. Choosing an appointment time when you’re unlikely to be stressed out by other things can help you too. Perhaps most importantly, choose a dentist that has received plenty of positive reviews from previous customers. This way, you at least know that you’re dealing with a competent professional. To make an appointment with some truly lovely (and not at all scary) dentists in Fort Washington, Philadelphia, contact our team at Harmony Dental Health today. Do Good Looking Teeth Really Matter? As any dentist in Fort Washington can tell you, healthy teeth are the primary focus of dentistry. But what are teeth, really, and how do they affect our daily lives? When it comes to good oral health, the primary role of teeth is functional. They are required to chew food, and should be able to process the food that we eat easily and effectively, with no discomfort or outright pain. However, teeth are also a highly visible part of our face. As such they play an important role in portraying our personal selves to others in the world at large. Cracked, broken, or discolored teeth are not just a personal impediment to feeling healthy; they can convey to the rest of the world that we are somehow inferior, incapable of maintaining a pleasing and presentable appearance. Thankfully, feeling good and looking good tend to go hand-in-hand when dealing with teeth. Most oral care procedures thus end up reaping double benefits for the user. 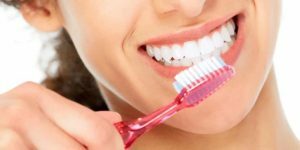 Keeping your teeth healthy goes hand in hand with keeping them looking good, and so you will find that most services offered by a dentist in Fort Washington will be doubly recommended. So you should never feel that you are being forced to choose between a health procedure and a cosmetic procedure. Your public face is one of your most important aspects, so even something like teeth whitening, which seems purely cosmetic, can have a direct impact on your bottom line, and on how much health care you are able to afford in the future. “Invest in your teeth,” they used to say, and it’s still true, even though most dental work no longer involves setting precious metals into your mouth. A “million dollar” smile is an equally strong and reliable investment. See your local dental professional for more information on making your smile look its best. Visiting the dentist is far from anyone’s favorite activity; however it is an important part of not only your oral hygiene but also for your overall health. There are many ways to be proactive about your dental care, including routine visits to a dentist in Abington. Here are some things to note about preventing poor dental health. The first step to taking control of your hygiene is to make sure you are not only brushing at least twice a day but also flossing at least once a day and using a quality mouthwash. Diet is also another important part of your dental health, so make sure that you are eating healthy and consider taking vitamins to make up for any deficiencies you may have in your nutrition. Visting your local Abington dental office at least twice a year is another great way to prevent oral problems. During these visits you will get cleanings, as well as x-rays of your teeth to make sure that any cavities are caught early. There may also be oral cancer screenings on occasion. If you already have problems with your dental health, your dentist may request to see you more often. Preventative maintenance can have a lot of benefits for your health as well as your wallet. The infection created by gum disease can enter your bloodstream and cause further health issues, and if your teeth and gums experience bad enough damage it can actually cost you more money. It may even affect your insurance rates if you have to have a lot of dental work done. Prevention is the cheapest and easiest option when it comes to your dental health. Seeing a Abington dental professional can help you determine whether or not there need to be changes to your hygiene routine or diet, and there are a lot of other benefits too. Make sure that you are practicing regular dental maintenance for the healthiest, brightest smile possible. To get a beautiful, white smile, most people have to resort to teeth whitening services. Professional, in-house teeth whitening treatments can get teeth anywhere from 4 to 8 shades whiter. The results are immediately visible and last for months, with proper maintenance. With that said, teeth whitening treatments can cause chemical burns, even when done in dental offices in Fort Washington. Here are 3 tips on how to avoid them. Most dentists offer two treatment options: standard trays or custom-fitted trays. It’s worth splurging on custom-fitted trays, as they will prevent the bleach from pooling in just one area. It also prevents the bleach from getting on the gums for a more even overall application. When the bleach and the whitening chemicals get onto the gums, they can soft tissue irritation. This can worsen and become chemical burns after long-term exposure. With that said, to prevent chemical burns, check and double check that the gums are covered and protected. Have the dentist go over each exposed area again. Avoid letting the situation worsen. Although some discomfort is to be expected, those who feel immense pain, or a growing pain should speak to a dentist in Abington immediately and stop their treatment. It’s vital that the treatment procedures and conditions are re-assessed to determine whether there are any underlying issues that need to be addressed or discussed. Professional teeth whitening treatments and services are quick and easy. Anyone can have a celebrity smile in no time. 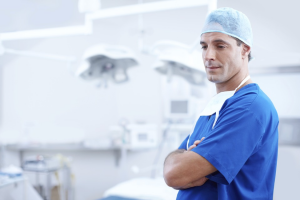 When done properly, patients will only feel a mild discomfort during the entire procedure. They’ll be able to get back to work or their errands straight after the treatments done in a dental office in Oreland. Since 1994, lasers have been used in a variety of dental procedures. However, although they have been around for so long, they are not as commonly used as one may think. Laser technology is an interesting thing that a dentist in Fort Washington may use for many different purposes. Some dental professionals can even use lasers to numb the area they are working in, causing less need for a numbing injection. This can be a great advantage in a dentist’s office, because the patient will recover more quickly from dental procedures that numbed with lasers instead of injections, causing increased comfort for the patient. There are many other ways to use a laser in dentistry. Lasers can be used to remove tooth decay before the filling is put in to repair damaged teeth. They can also be used to reshape gums and remove bacteria from the gum during a root canal, and remove unhealthy tissue during a debridement of the gums. 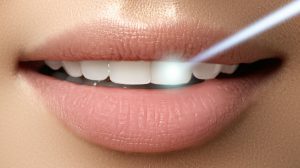 In-office teeth whiting can be assisted with the use of a laser; the laser activates the bleaching solution that is added to the teeth during the procedure. There are multiple advantages to using lasers at the dentist in Fort Washington. As mentioned above, drilling with these lasers reduces the need for anesthesia in the patient in many cases, such as with simple fillings. The lack of anesthesia also reduces the amount of time the patient needs to spend in the dentist chair, because there is no need to wait for the injection to make its way through the mouth and numb the area before the dentist gets started. Another advantage is that the use of a laser reduces bleeding and swelling during the procedure. Come see Harmony Dental to check out how the dentists here take advantage of laser technology to reduce your pain. It’s no secret that some people dread going to the dentist. So much so, that a portion of patients would rather seek at-home-remedies than book an emergency appointment at a dental office. However, there are some dental emergencies that simply cannot wait, since a restorative fix can have an expiry date. Should a dental emergency arise, fighting one’s fears and heading to a dentist can seriously impact one’s chances of keeping their dentition intact. Failing to receive immediate treatment when a dental emergency arises can result in the loss of a tooth or a painful infection. Calling a dentist in Pennsylvania and seeking restorative measures is recommended for those who are currently in this predicament. Technology is a beautiful thing and while many marvel at the new iPhone or app that’s made their life easier, they don’t realize there are some cool new innovations in dental technology. You might have already seen it advertised. The Blizzident is a pretty cool invention that does the work of cleaning your teeth for you. This custom-made toothbrush fits in your mouth like a night guard or sports guard and cleans your teeth in just 6 seconds without you having to do any of the work. All the user has to do is bite down and grind their teeth for a few seconds, and the magic of the device cleans, and flosses in a way that fits with your teeth, and your teeth only. You may have heard of 3D printing, and how wonderfully useful it is for certain professions. Well, the same can be said for the dental profession. Candid, a startup that focuses on aligning your teeth for less than the cost of braces or Invisalign, is on the up and up. Candid uses technology similar to 3D printing to create a real mold that will fit to your mouth, and straighten rogue teeth. Of course, Invisalign is also an interesting new technology that your dentist can offer you as well. With this new technology, your dentist can actually look in your mouth, using a special light, and see if there are any abnormalities. By using just a light, this technology has decreased the use of invasive and sometimes painful detection methods. 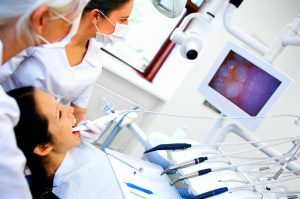 While getting an appointment with a Fort Washington dentist online may seem commonplace, this technology has definitely changed how we do things. It saves time and allows you to simply click and get scheduled. Achieving anything in life generally requires hard work and suffering, and this statement cannot ring more true than for those looking to achieve a beautiful smile by wearing braces. While they’re a necessary evil for the sake of a winning grin, dealing with the overbearing pressure and pain can sometimes seem impossible. However, as any local dentist in Fort Washington can attest, the struggle will all be worth it for the end result. 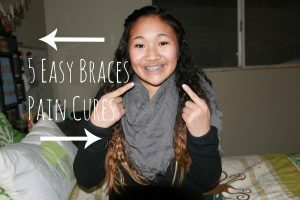 To get through the torment in the meantime, try these five tips for reducing the pain caused by your braces. Teeth and gum sensitivity can be reduced with soft foods. Try things like soups, yogurt, mashed potatoes or healthy fruit smoothies that can prevent further agony by not inflicting pressure on your teeth and gums. Foods like chips, nuts or vegetables should be avoided for the same reason. Trying a local anesthetic like Orajel can help eliminate the tension so applying as directed can numb the pain. Another option is taking basic painkillers like Ibuprofen or Tylenol to relax the muscles. Ask your local dentist in Fort Washington for dosage suggestions. Since numbing the pain is key, holding a cold compress to the throbbing area can help reduce the swelling and inflammation. Sucking on ice cubes or eating frozen treats like popsicles will work as numbing agents as well. Use orthodontic wax to cover the metal braces that may be causing irritation or pain to your inner cheeks or lips. Since abrasions or sores may be caused by your metal braces, gargling with salt water for 60 seconds can help heal any wounds that form from aggravated skin. After a visit with your local dentist in Fort Washington, try these tips for reducing the pain caused by the tightening of your braces. One day, your stunning smile will help you forget the hard road it took to get there.